She Leads Africa has hosted its 2015 Entrepreneur Showcase, with food manufacturing and packaging company OmoAlata, founded by Kasope Ladipo-Ajai, named as the winner of the pitch competition and walking away with the $10,000 first prize. Second place went to Kambili Ngozi Ofili-Okonkwo, founder of swimwear brand, KAMOKINI. The third place was scooped by Ngozi Opara, founder of hair extension startup, Heat Free Hair. 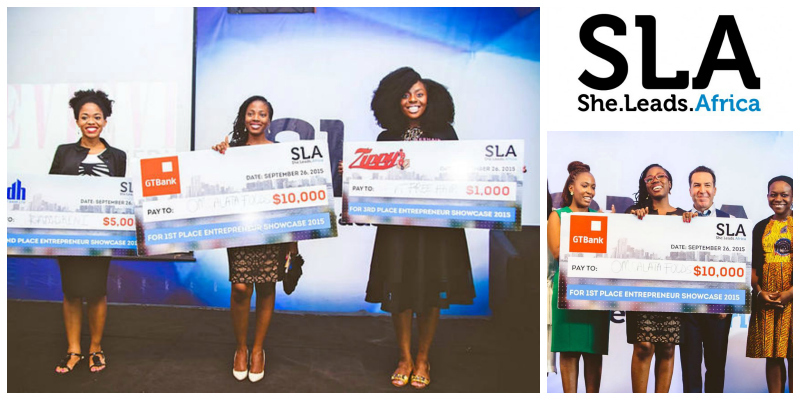 She Leads Africa announced the winners of their entrepreneur pitch competition held over the weekend in Lagos, Nigeria. The three talented young women entrepreneurs walked with prizes to value of $16,000. Nigerian startup OmoAlata – which makes parboiled stew, spice and pepper mixes – was named winner and took home US$10,000. Founder Kasope Ladipo-Ajai, launched OmoAlata in 2012. This Nigeria-based food service brand is focused on the production and sale of hygienically processed and packaged local Nigerian soups, spices and peppers. It aims to make cooking easier for busy people and promote healthy eating. Swimwear brand Kamokini, founded by Kambili Ngozi Ofili-Okonkwoi, took second place and the US$5,000 prize. Kambili officially launched KAMOKINI back in September 2014. This Nigeria-based brand merges trendy designs with an understanding of the average woman’s body consciousness and sensuality to create swimwear that makes women feel and look good. Heat Free Hair, founded by Ngozi Opara, took third place, receiving US$1,000. This black hair extension startup was launched in 2012. Based in Washington D.C., Heat Free Hair specializes in 100% virgin hair extensions designed to perfectly match one’s natural hair texture and curl pattern. The three runners up were the tech-based companies; Beauty Rev NG – an e-commerce company focusing on beauty brands; mobile technology company InstaHealth that connects patients to doctors and healthcare information via their phones; and Heels In The Kitchen – a hosted cooking show with a fashion and style edge that teaches viewers how to create meals while providing interactive content. “We started She Leads Africa because we were disappointed by the stereotypical image of African women as small-scale entrepreneurs building micro businesses. For the second year in a row we have proven that this is far from reality,” said She Leads Africa co-founder Afua Osei. The Entrepreneur Showcase pitching event was attended by over 250 entrepreneurs, business leaders and investors, who She Leads Africa says were eager to get a glimpse of Africa’s leading female entrepreneurs.